There are a total of 12 men that have walked on the Moon. Nasa conducted moon landings from 1969 – 1972. Of the original 12, nine are still alive. Here are these American heroes, and their signing habits. 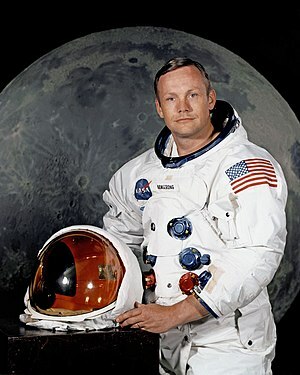 Neil Armstrong – He used to be a great signer, but no long signs anything period. Buzz Aldrin – He will sign through the mail for $250 per signature (ouch). The best way to get him is at a bookstore when he is promoting a new book. Edgar Mitchell – Does not like to sign but will provide a signed photo though his website http://www.edmitchellapollo14.com for $75. David Scott – Mr. Scott is basically a recluse and as a result is almost impossible to obtain. John Young – Mr. Young is a very good signer, especially for an astronaut. He will always sign unless there are too many people. Charles Duke – A super nice guy, one of the best astronauts at signing. Harrison Schmidt – Very tough signer and very difficult to obtain. I hope you enjoyed today’s blog on moonwalkers. Feel free to check out my web store at http://autographedfirstdaycovers.com. This entry was posted in Autograph Shows, Autographs, book signings, Celebrities, Hobbies, Signatures, Uncategorized and tagged 8x10, Alan Bean, Alan Shepard, Antiques and Collectibles, Buzz Aldrin, Celebrity, Charles Duke, Collecting, David Scott, Edgar Mitchell, Eugene Cernan, First Day Covers, James Irwin, John Young, Moonwalkers, NASA, Neil Armstrong, Pete Conrad, Recreation, Signatures. Bookmark the permalink.